Emily Meston was probably a more significant portrait painter than a painter of still lifes, but the Art Gallery of New South Wales rarely acquired large oil portraits by women, preferring small still-life studies which conformed to the 'decorative' stereotype then attached to 'women's art'. In the inaugural Society of Artists exhibition in 1895, however, when Meston's 'Portrait of Rev G McInnes' was shown alongside her 'Study of grapes', it was called 'the strongest portrait, so far as The Bulletin knows, yet painted in Australia by a woman'. 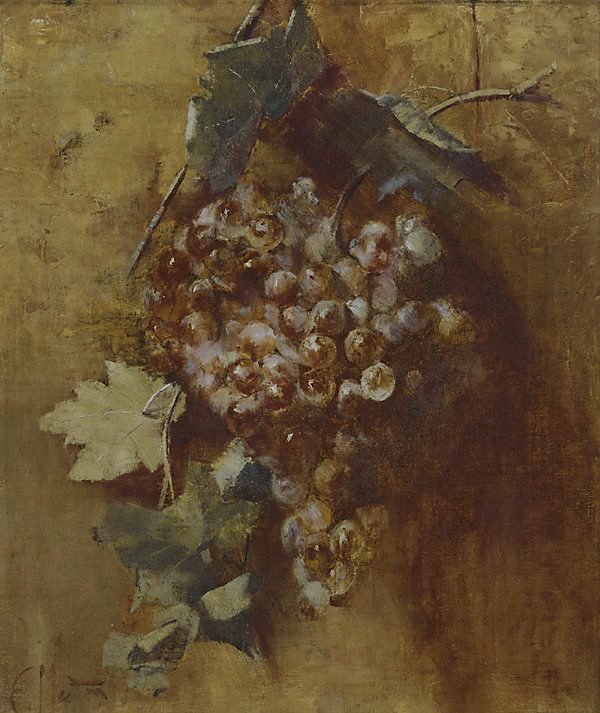 The Trustees of the Gallery had purchased 'Study of grapes' nine days earlier.